Our Colonial nylon golden fringed indoor Episcopal Flags will look perfect in your church, school or faith-based organization. Each flag comes with a flannel-lined pole heading and features rich, deep colors and re-inforced stitching for a classic look and added durability. 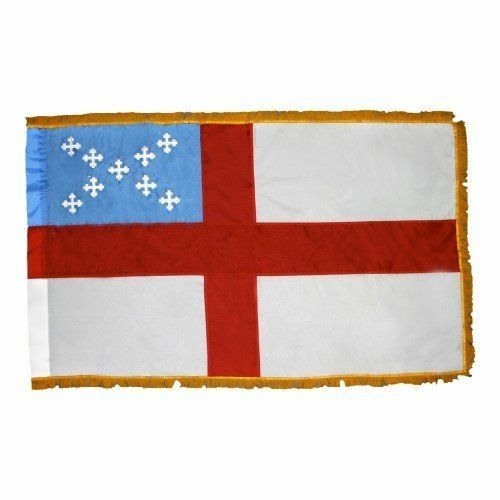 Our selection of Episcopal flags includes two standard sizes - 3' X 5' and 4' X 6'.